Lock in a great price for Pension Lerner – rated 8.6 by recent guests! Very (!) convenient location and very kind and professional staff. Thank you so much! The location of the Pension Lerner turned out to be quite convenient. We had misunderstood the advertisement of the location being in "the old city of Vienna" as meaning that it was in the pedestrian area. This was not so, but it was an easy walk to all the historic landmarks, museums, and easy access to public transportation. We took the tram from the train station to just a few blocks from the Pension, and used a taxi (fixed price E36) to the airport when we left. Though the breakfast area was a very small room connected to a tiny kitchen where the breakfast was prepared, the food was abundant, delicious, very attractively presented, and a great start to our day. Very close to all of the key sites in Vienna. Everything was within walking distance. Good breakfast and friendly staff. It's located closer to all the attractions only a walking diatance. Very cute little place in the middle of Vienna, about a 10 minute walk from St. Stephen’s Cathedral and the castle. Super friendly and helpful staff who arranged for us to pick up the keys even after the reception was closed. No issues at all. Great breakfast including tasty gluten-free and vegan alternatives. Rooms were simple but very clean. Friendly staff, very clean room, good choices of foods for breakfast. I would stay again if in town. This visit was a research trip for another book. Property is conveniently located within walking distance of important historical places. Staff extremely helpful. Breakfast delicious. Good assortment of items. Nice small place, nice Breakfast. Great locations! One staff member was very friendly. Pension Lerner This rating is a reflection of how the property compares to the industry standard when it comes to price, facilities and services available. It's based on a self-evaluation by the property. Use this rating to help choose your stay! 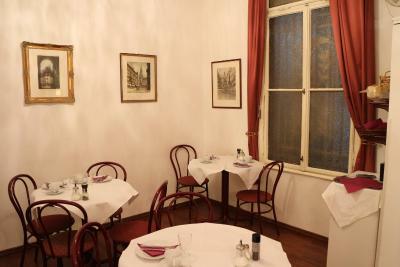 Pension Lerner is located right in the heart of Vienna, only a 10-minute walk from St. Stephen's Cathedral and the Burgtheater. All rooms have cable TV and free WiFi internet access. All rooms at Pension Lerner come with cable TV, some feature a flat-screen TV. All units have a private bathroom with a shower, but some have shared toilet facilities. Most of the rooms offer a city view. A buffet breakfast is offered every morning and the staff is happy to provide you with information about what to see and do. If requested in advance, vegan, vegetarian, gluten-free and lactose-free breakfast options are available. 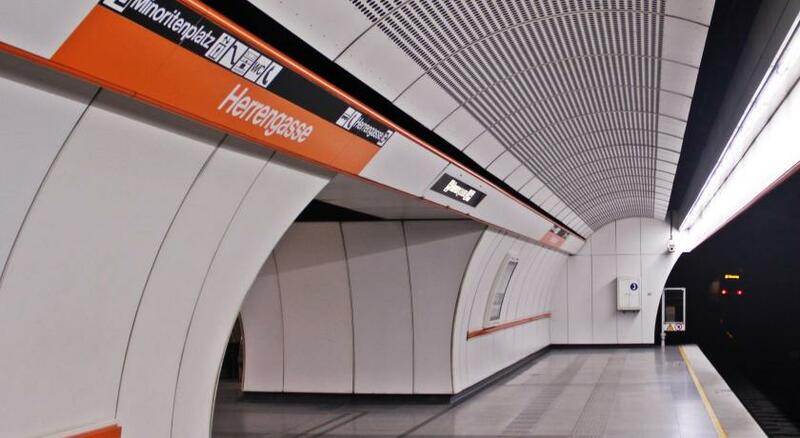 Within a 5-minute walk you can reach the Schottentor stop of the U2 metro line and Vienna University from the Lerner guest house. 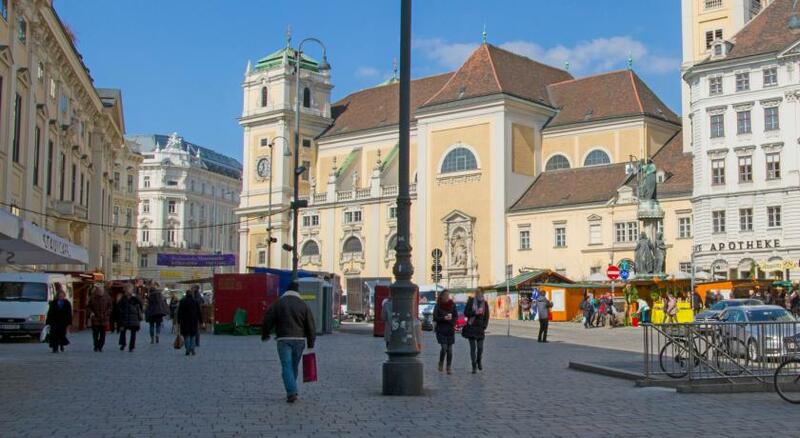 뀐 Located in the real heart of Vienna, this property has an excellent location score of 9.4! When would you like to stay at Pension Lerner? A room with cable TV and a private bathroom. Please note that there are shared toilet facilities for these rooms. House Rules Pension Lerner takes special requests – add in the next step! Pension Lerner accepts these cards and reserves the right to temporarily hold an amount prior to arrival. The reception is open daily from 07:30 to 20:00. Please inform the property if you will arrive later or need to check out earlier. Please inform Pension Lerner of your expected arrival time in advance. You can use the Special Requests box when booking, or contact the property directly using the contact details in your confirmation. The toilet bowl was dirty - badly stained and smelly. I tried telling the younger lady who came to clean the room that it was unacceptable and should be cleaned using appropriate products. She said "I'll tell my boss", and never came back. "Never" meaning that the next day she didn't appear at all. Pension Lerner is in a very central location, very convenient. The breakfast is very good, and the lady owner (?) of the establishment is extremely polite and obliging. The wi-fi was fast, which was very convenient since I had to work in the room. Everything was great. I don't have any bad experience. The breakfast was delicious. Personal of the hostel very friendly and the room and bathroom were clean. Excellent situation: 5 min walking to metro station, bus Viena to airtport line (VAL) or main square of city centre. The room was small..and..the payment had done before we arrived there but we paid again at check out...at my booking page it seems "paid" about 2 mounts.. booking.com or pension made mistake but i dont know which one..
No negativ impression at all!!!! Relaxed atmosphere, silence and the impression that you came home. Breakfast is great, not in terms of great selection and quantity, but tastefully incorporated flavors, delicious food and good coffee !!! Location is perfect 5min walk to the center. Around a number of different restaurants. Perfect market 300m near the Clock. Staff very kind, hospitable. The WC is outside the room but for exclusive use of the guest(s) staying in 1 specific room. The breakfast is excellent. Wifi works very well. Great place! The owner (Veronica) - was very kind and we feel like we are guest of honor in her house!!! The breakfast was really great (big omelet, yogurt with berries, Camembert cheese etc.)! The room is clean and cozy! Thank you a lot, Veronica! This accommodation is at a prime location so if you lived there back in the imperial times you’d be somehow related to the royal family. ;) The room was clean and big enough for us 2. Very simple but functional. The toilet and the shower room stunk a bit but given the fact that the building is some 100 years old I guess this could be a problem nevertheless we were not really bothered by it. The breakfast was again simple but super nice. Loved all the small bites of different options to make a nice sandwich also the tea served in a pot was a nice bonus. Staff was friendly and helpful. Recommended. 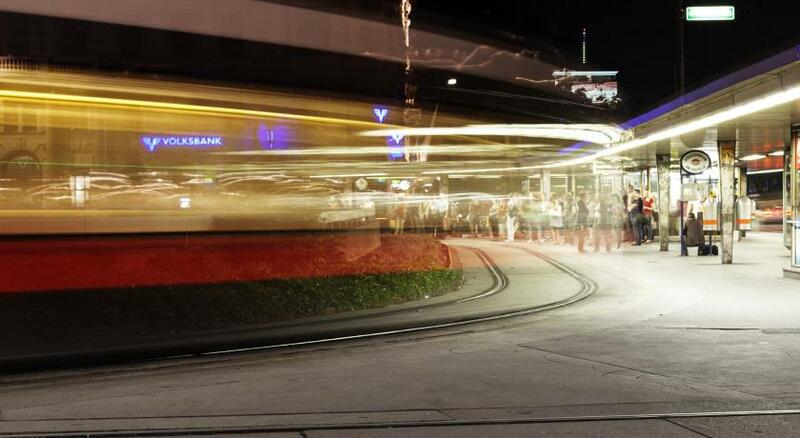 The hotel is located close to the center and close to the bus stop Morzinplatz to get the airport. The breakfast was really delishious and hearty. After that we could walk the whole day till supper. Furniture, decor and facilities are quite dated. I didn't have a toilet in my room (it was at the end of the corridor). The price wasn't cheap for such a basic room but Vienna seems to be extremely expensive so compares favourable to some other options. Breakfast was really good with fresh products. Different type of food every morning. Perfect. I really enjoy it. The rooms were slightly dated but comfortable and clean. They took payment from my booking card but I would have preferred to pay with another card. Quick and easy but just not ideal for me. The breakfast was delightful. Location was perfect. This was a great stay. The room was a good size and very comfortable. The staff were absolutely amazing and went above and beyond to make our experience as best it could be. 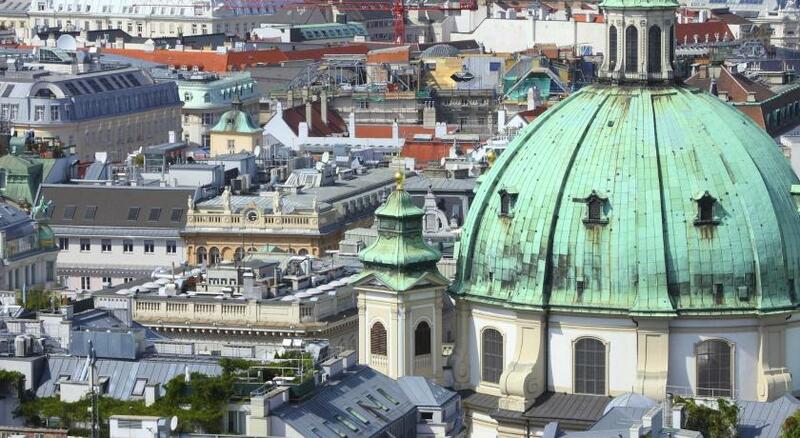 If we were to return to Vienna, we would choose Pension Lerner again.